Do you know – it’s very likely that in 2018, Google will launch its much talked about mobile-first index. This means that Google will start ranking websites based on their mobile versions, instead of the desktop versions. This clearly explains why mobile-ready websites are so important. In general, use of smartphones for accessing specific websites, conducting Google searches, and using mobile apps has surged manifolds in the past 5 years. 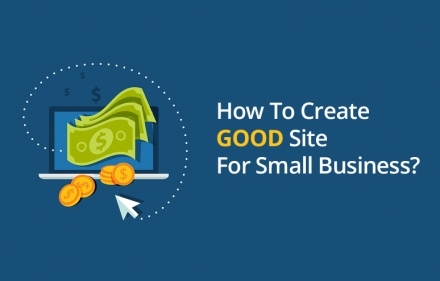 This makes mobile-ready websites a necessity for everyone who already has a desktop website, and for anyone looking to create a new website. Here are some stats that further explain the importance of mobile-ready websites. About 60% of web searches are now made on mobile devices. In February 2016, Ericsson revealed in a study that for mobile users, delays in task-completion on mobiles was as stressful as watching a horror movie! By March 2017, there were already a total of 1.7 billionAMP (Accelerated Mobile Pages), with about 35 million being added every week. A ComScore research revealed that 68% of digital media time is spent on mobile devices. 35% online purchases happen on mobile. 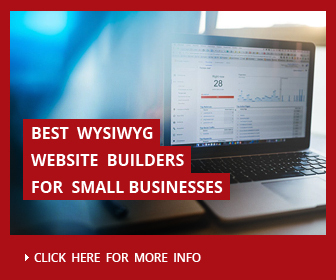 Next, let’s tell you about 10 superb mobile website builder software packages. Being a market leader, Wix has been a pioneer in terms of helping users create mobile friendly websites for free. 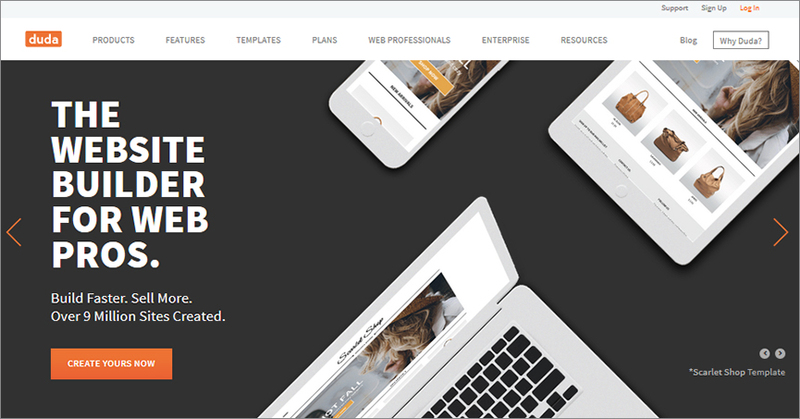 Apart from providing several top class responsive templates to users, Wix automatically creates a mobile optimized version of your desktop website. The key elements of Wix Mobile Editor worth your attention are presented here. You get a fully loaded interface to edit the mobile version of your website, with customizations such as changes in background, color, and style elements. Your desktop website’s content is automatically transferred into a mobile version; plus you get the option to hide certain content elements to deliver neater and easily navigable designs to mobile users. Wix lets you insert your phone number in your mobile website, in a way such that when a user clicks on it, he/she can directly call your business.Since you get the same URL for your desktop and mobile website, there is no dilution of SEO and traffic. For multilingual websites, Wixmobile website builder allows you to either display the mobile website in one language only, or to show the desktop view of your website (even in the mobile friendly mode) to deliver the multilingual website menu. Weebly’s responsive templates go a long in way in helping you create a mobile website, making the content automatically adjust its layout according to the device it’s viewed on. 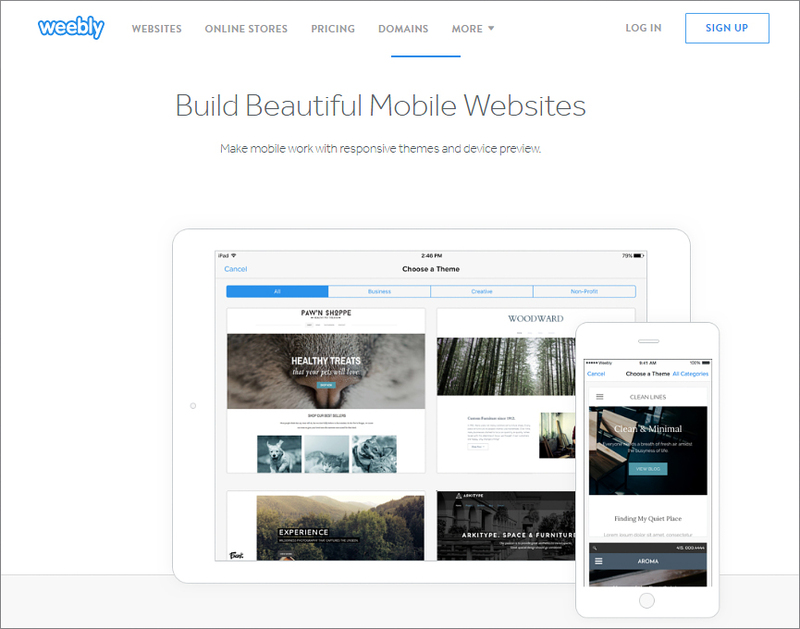 Then, you can use Weebly’s Android and iOS mobile apps to build your mobile-ready website. 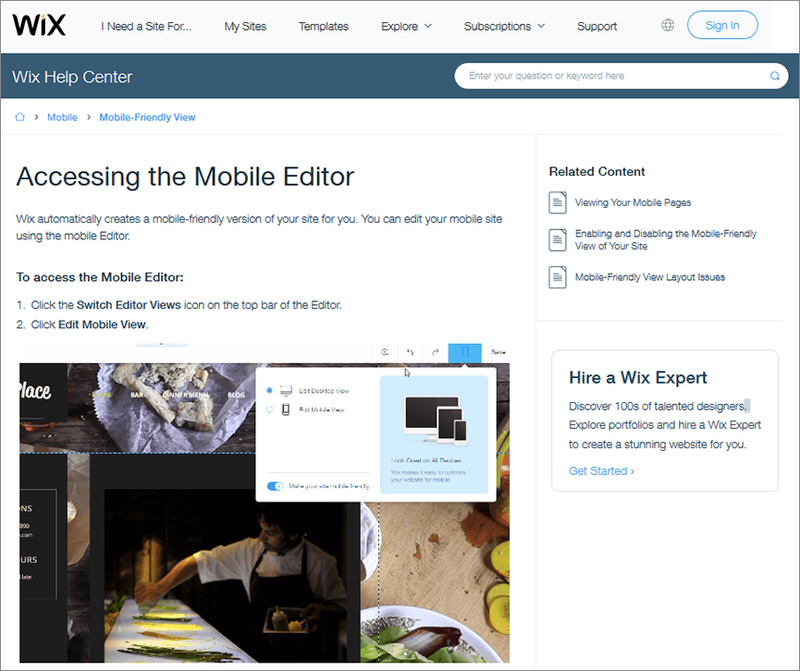 Weebly’s drag and drop powered website editor interface helps you preview how your website will look on a mobile device. With focus on creating a single website that works equally well both for desktop and mobile, Weebly automatically optimizes your website for mobile viewing. Weebly’s mobile editor lets you drag and drop content elements into your website’s mobile friendly version. However, most users would prefer using the desktop website drag and drop interface, and then let Weebly automatically convert the website into a mobile friendly version. The mobile editor lets you play around with some template elements, color schemes, and social icons. You can show your business contact number in the mobile website, though it’s not click-and-dial (Wix mobile editor allows this). Weebly has been adding a lot of mobile responsive templates to its catalog lately. The thing to remember is that if you use these templates, you will not need the mobile editor, which in turn saves you time. 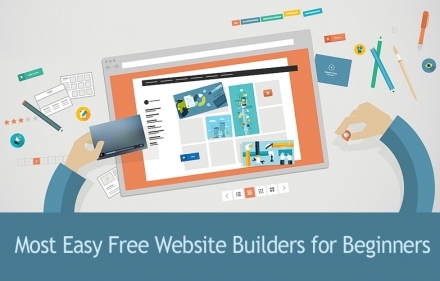 Jimdo is a popular and easy free website builder. Not long back, Jimdo used to offer a dedicated mobile website editor. However, it has changed its approach and now focuses on highly professional and advanced responsive templates. It offers you around 40 top class responsive templates, and automatically converts your desktop website into a mobile friendly version. Jimdo’s SEO features also assist you in improving the mobile friendliness of your website. Jimdo also offers its users extensive guidance on optimization of their website for mobile devices. Squarespace takes a very simplistic approach towards enabling users to create mobile friendly websites, and that is by providing world class, top of the line, responsive website templates. These templates are so well coded and professionally designed that merely the self-adjusting nature of the templates will deliver a refreshing and value adding mobile browsing experience to your users. They’ve been coded in a manner so as to be search engine friendly, so that your websites are found quickly in relevant searches made via mobile devices. Some of the templates come with mobile specific style options in Squarespace Style Editor. Another noteworthy component of Squarespace’s mobile website capabilities is that it supports Google’s open source Accelerated Mobile Pages project. This means that you can remove all the non-crucial elements of your web pages to make sure they load at lightning speed on mobile devices. Your website’s domain works for both the desktop and mobile version, so no division of traffic either. 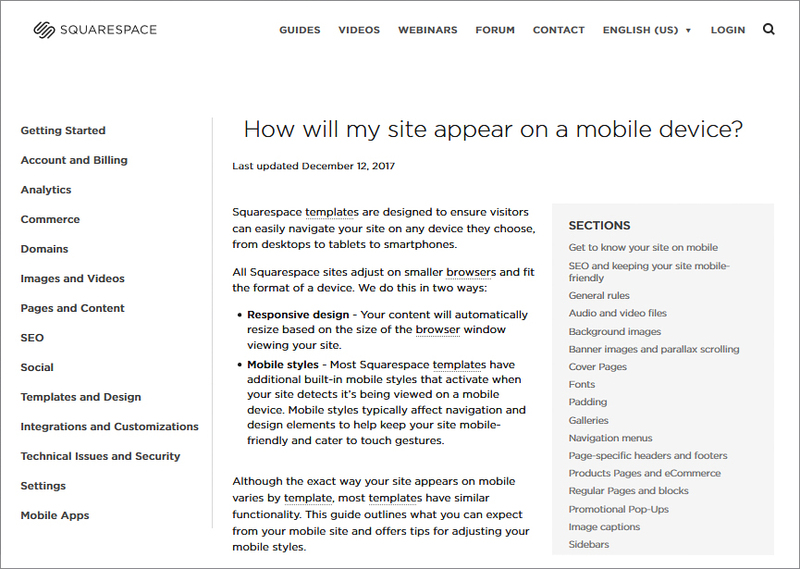 Squarespace’s mobile apps also let users make changes to their websites’ mobile friendly versions. 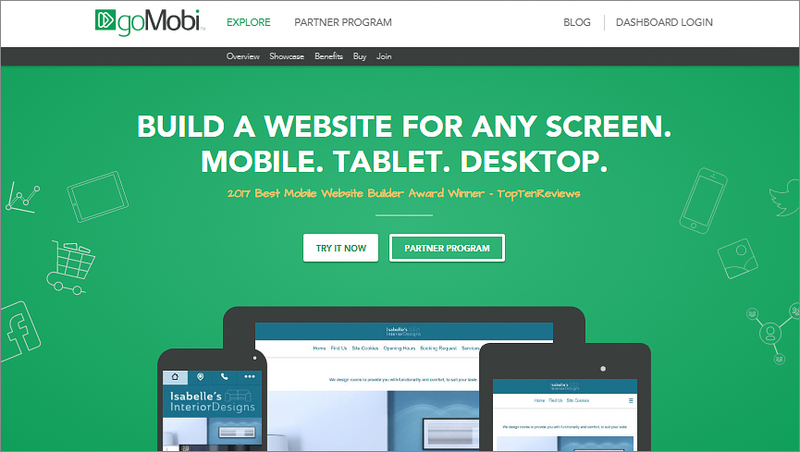 GoMobi is a dedicated mobile website builder. It offers you 40 modern design templates, geared to meet a variety of mobile website needs, such as for sharing contact information, showcasing designs and visual content, or promoting products. One of goMobi’s most amazing features is that you can preview the look of your website for all kinds of mobile device operating systems (Windows, iOS, Android, and even Blackberry). 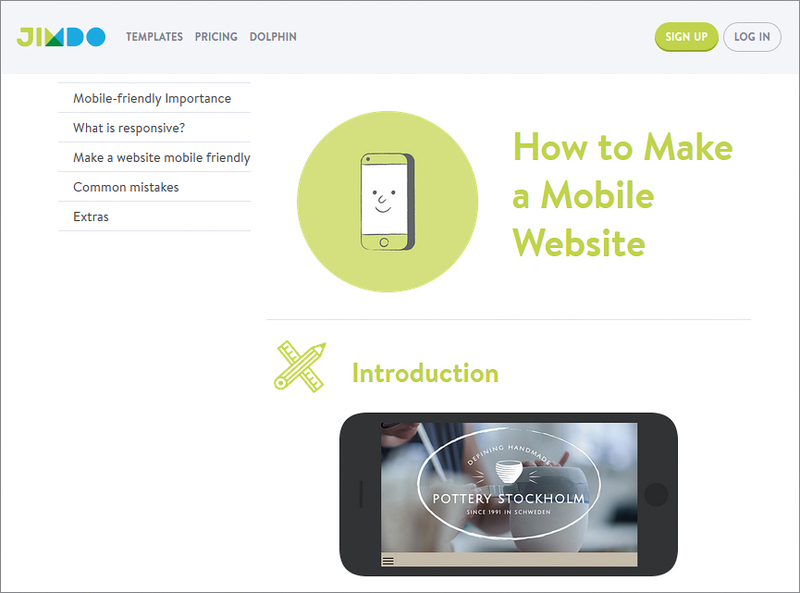 With goMobi, you can literally transform your old business website into a mobile friendly version in a jiffy. Just copy the URL and let the software weave its magic. Of course you’ll need to reposition some content and play around with some widgets to perfect the look. Similarly, you can create a mobile friendly website from the scratch, using all the widgets provided in the left sidebar. Editing template, adding images, tweaking banners and header/footer, assign a custom bookmark button and your branded logo – everything is easily managed. With preset ‘contact’ and ‘about us’ page templates, you can set up a content rich mobile website easily and quickly, using goMobi. In the contact page, you can add tap-to-dial sryled business contact number along with a functional map widget to showcase your business location. Advanced goMobi features include niche specific functionality like a menu widget for restaurant websites. Social media widgets offered by the software help you integrate your mobile website with your social media marketing efforts. In addition to all this, goMobi also offers Analytics support to help you gather data driven insights from your website. Firstly, you can transform your desktop website into a mobile friendly version; just key in the URL and DudaMobile does the rest. It extracts all design assets from the desktop website and adds them in the image gallery for future access. Also, it identifies the color scheme of the original website and replicates that across the mobile website. Every time you update your desktop website, DudaMobile replicates the same to your mobile website. With minor editing, you can get the look and feel of your desktop website perfectly on spot. 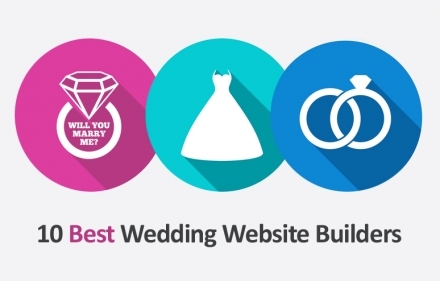 Secondly, you can build a website from scratch using this tool. With around 70 mobile website templates, and dozens of customization options via the mobile website editor, DudaMobile has you covered. Though you don’t need to know HTML or CSS3 to use this tool, it’s possible to achieve deep customization via coding. With the Pro plan, DudaMobile allows you to integrate your desktop and mobile website (the mobile website URL becomes m.yourwebsite.com). Advanced tools such as coupons and promotions, social media marketing, and Google Analytics also add a lot to your experience. 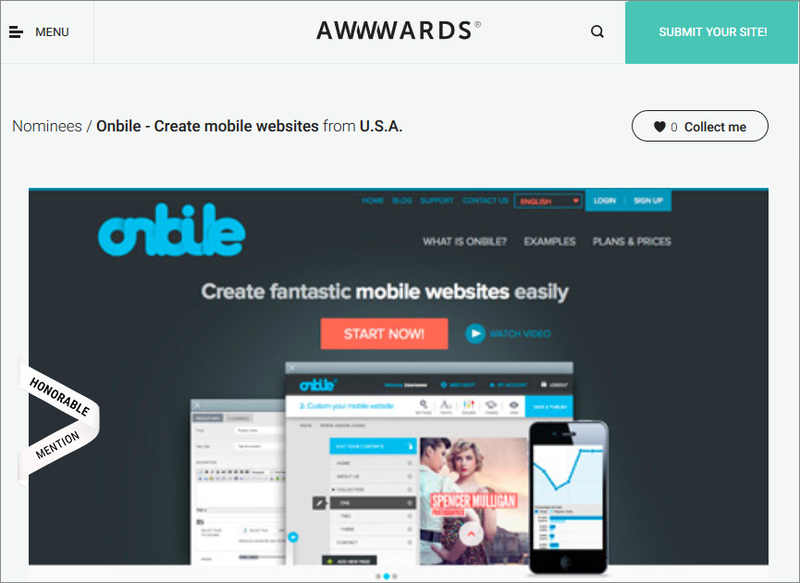 Onbile allows users to convert their desktop websites into mobile friendly versions automatically. Also, with 15+ templates to let users from markets like restaurants, portfolio, and salons, Onbile gets you started on your dedicated mobile website. Onbile’s templates are better than most comparable mobile website builders. Users can easily create contact, about us, team, and other basic website pages, and add business contact info such as phone number, maps, and social profiles. From embedded videos to image sliders, from template customization to adding your branded logo – Onbile can handle it all. 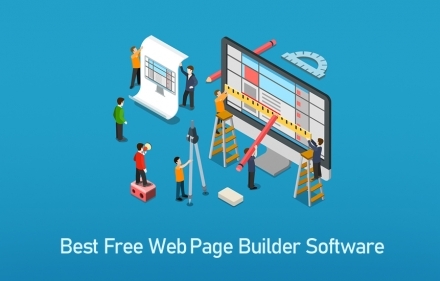 Social media integration, Google Analytics, and RSS Feed management are other useful functionalities delivered by this website builder. With video tutorials and FAQs, Onbile helps you with the basic information you need to create a mobile optimized website using the tool. 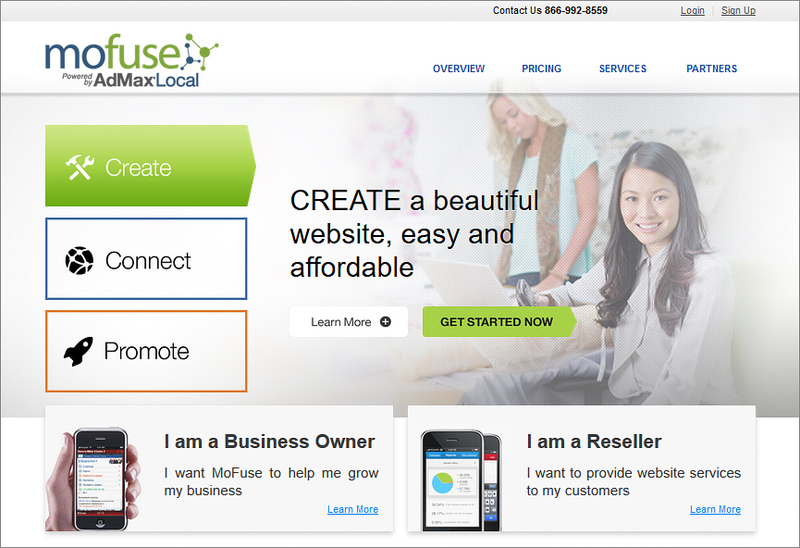 MoFuse enjoys a lot of popularity for anybody looking to create a well-designed and functional mobile friendly website. 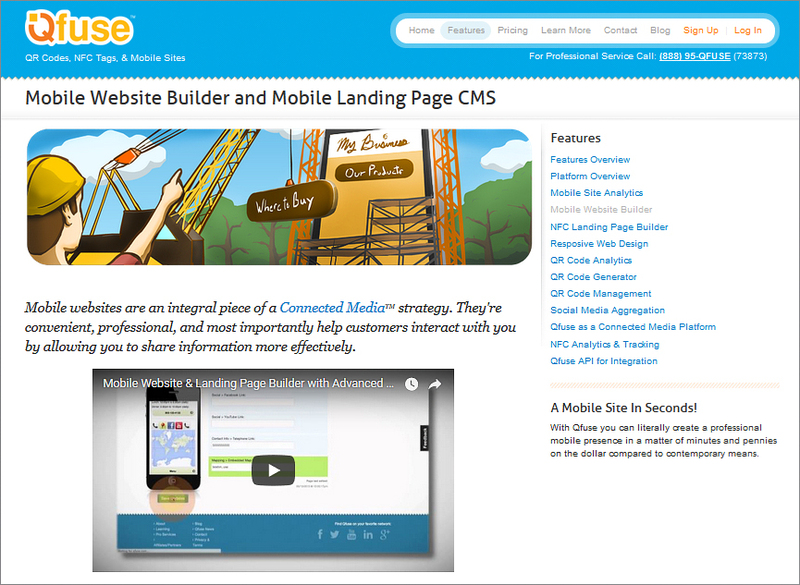 Mobile commerce readiness is the key differentiator for MoFuse-powered websites. Your mobile website, built using this tool, will be compatible with almost every mobile OS, device, and browser. Remember, this is a tool suited for people looking to create a whole new mobile website, and not to transform existing desktop website to a mobile friendly version. MoFuse makes it easy for you to integrate your mobile website with 3rd party apps. Its design tools make sure that you can change the look and feel of your mobile website when you need to. MoFuse adds a Google Maps widget, and also allows you to issue promo codes and coupons. You can even make your mobile website m-commerce ready with MoFuse. MoFuse offers users its own mobile analytics dashboard to deliver insights from the traffic data. Then, there are very useful features such as click-to-call business contact number, form builder to manage inquiries and seek more information, and integration with Google’s Search Console. Other noteworthy features include social sharing, store locator, QR codes, SEM advertising, and RSS Feeds. Not exactly a tool you can rely on for creating a fully loaded mobile friendly website, QFuse, however, is a decent option for anybody looking to ‘fuse’ together their marketing and advertising efforts. You can aggregate content from your Facebook, LinkedIn, YouTube, and Twitter accounts in to your QFuse powered mobile friendly website. Also, you can provide easy access to your social accounts via simple drop down menus in your QFuse website. It even allows you to add QR code and NFC token activated advertisements. You can create a very simple mobile friendly website with a social media account aggregator page for audiences to connect with your brand, and a contact us page with click-to-call phone number and integrated Google Maps widget. FAQs and tutorial pages are available to help users create their promotional and social connections based mobile website using QFuse. The way mobile Internet browsing has picked up, it’s very likely that websites that fail to deliver enriching mobile browsing experiences will not only be discarded by the users, but also by the search engines. 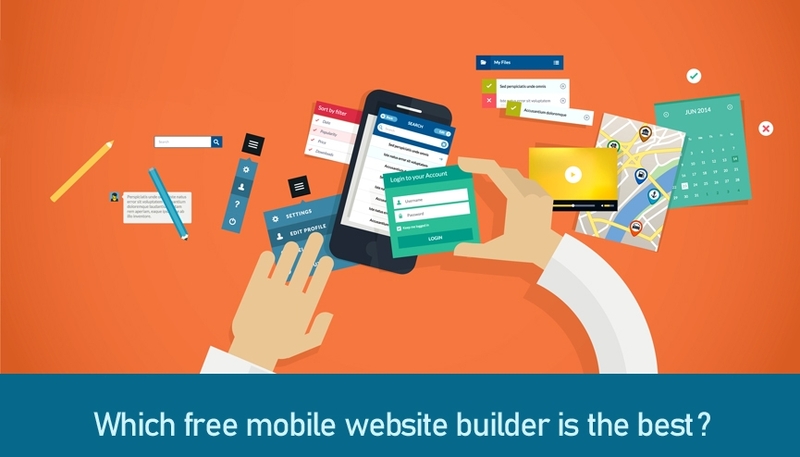 To make sure your websites are mobile friendly, choose one of the 10 mobile website builders we’ve covered in this guide.